I should have posted this a little while ago, but this came over the Aqua-Hotline when the blog was taking a break so I missed it at the time. 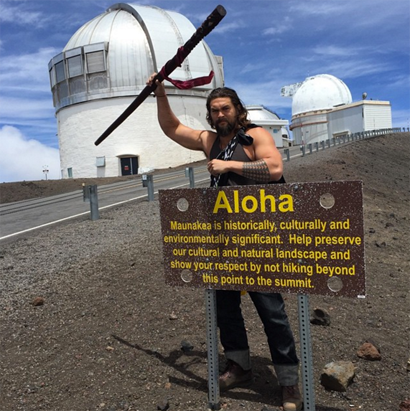 Jason Momoa is spearheading the "We Are Mauna Kea" movement, which involves protecting a historic part of Hawaii from construction. 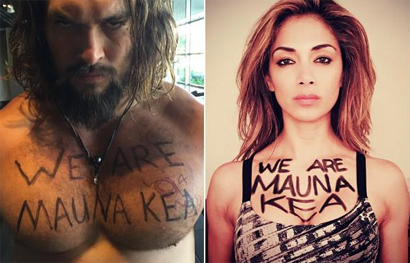 Take a look at the article and check out all the people (including a certain Man of Steel) Momoa has gotten involved to raise awareness of the situation. Protecting a sacred piece of land from environmental damage? Sounds pretty Aquaman to me! I did some additional reading on this issue, and there's a lot to consider. Here's an article on The Huffington Post (yeah, I know) that covers both sides, pretty fairly to as far as I could tell. It's worth a read. Thanks to our newest F.O.A.M. member Adam Ackerman for the tip! If Jason Momoa kindly asked me not to do something, I'd beat feet.